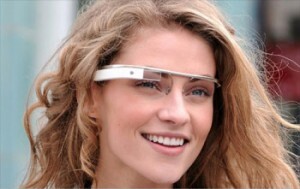 Last month Google announced that they would be upgrading their Google Glass. Current owners of the technology, who are at the moment beta testers for the products, could either keep the pair they had currently, or trade it in for the new headset. When they released the statement they announced that anyone who wished to trade their pair could let Google know and Google would “Reserve a place in line” for them. Once their new Google Glass was ready, they’d receive an email and could go pick it up. People must be getting emails as there’s now a bit of an internet buzz about the new headset which has featured on a Vine video recently. The headset, although visually similar, has a few marked upgrades. The small in built speaker form the last Google Glass headsets has been replaced by a removable earbud option that plugs into the headset. This is mainly due to most testers of the product saying that it was hard to hear anything unless you were sat in a quiet room. Allowing for this earbud will be especially useful for when you’re using satellite navigation or watching films.